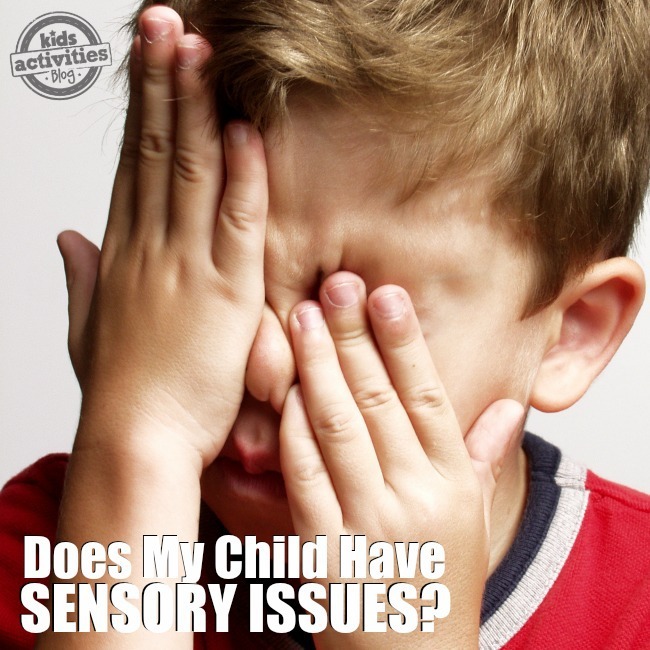 Have you ever heard the phrase “sensory issues” and thought… hmm, I wonder if that could be my child? You are not alone. With the increasing awareness of all things sensory, more and more parents are starting to wonder the same thing. 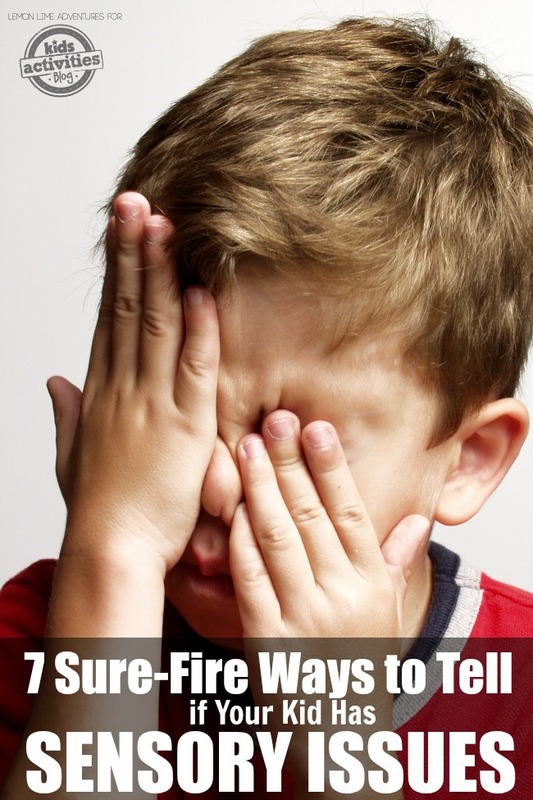 When your child struggles with sensory issues it can be downright debilitating. In fact, it can affect every aspect of your life, from family outings to night time routines. When a child struggles with sensory issues, it can make every day activities difficult and make parenting even harder than it already is. While there are are many signs of sensory processing disorder, which require an official evaluation and diagnosis, sometimes just being able to relate to an issue can help you understand more about what your child is struggling with. These clues are meant as a way to help you better understand your child and hopefully set you on the path to getting them the support they need. People always ask me when I first knew my son struggled with sensory issues. At what point did I realize that it wasn’t just bad parenting or a defiant child? Today, I have gathered some of my initial signs that led me to realize my son needed much more sensory support than I was giving him. Constant Chewing and Biting | Oh the chewing! My son chewed on everything from the bed post to his sleeves on his shirt. If your child is chewing and biting on things constantly, this can be a very strong sign that your child has oral sensory needs that are not being met. A simple solution could be chewable jewelry or a water bottle with a bite valve. Extreme Picky Eating | Unfortunately, picky eating is often looked at as a “bad behavior”. One that is rooted in defiance and “naughtiness” not one that stems from a child’s oral and/or gustatory needs. There can be many reasons your child is refusing every meal you put in front of them that goes beyond trying to be in control. Always Disorganized | Do you have a child that never seems to know where anything is? Sounds like most kids, right? However, if a child is struggling with visual sensory processing, simple tasks such as keeping up with their school supplies can be down right daunting. They might need other tools and strategies such as visual schedules and charts to help them with every day tasks that most of us take for granted. Refuses Certain Clothing | I know many children can be very picky about what clothes they wear. However, if your child struggles with tactile sensory issues, they might refuse simple things such as socks, shoes or tags in clothes. This can make getting ready for school each morning extremely challenging. Simple tactile sensory experiences such as sensory bins and tactile games can help a child get used to the sensation and help with their tactile sensory needs. Avoids Large Crowds or Loud Places | This can be incredibly tricky. Many children with sensory issues don’t know they don’t like loud places in the beginning. However, it is evident by their behavior any time you are in a large area or crowded place that something is bothering your child. These children could also be the same children that seem to never “hear” your instructions or requests due to their auditory sensory issues. This can be helped by providing noise reduction ear muffs, or going to loud places during less busy times of the day. Easily Agitated or Angry | Having an angry child can make you feel like a failure as a parent, for sure. I know. I live it almost every single day. Children with sensory issues often are extremely angry or frustrated due to sensory overload and the inability to regulate their own emotions. There are many sensory hacks for helping children calm their intense emotions. 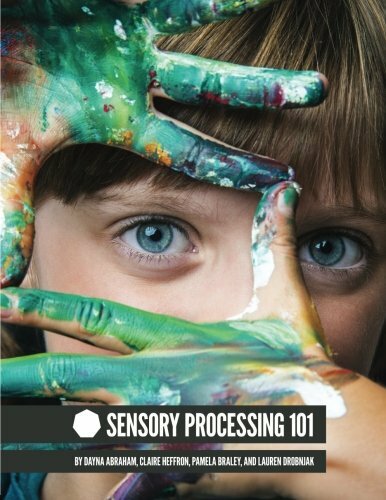 Of course, there is a lot more to sensory processing than just seven red flags and clues. Sensory issues are real and can make parenting extremely hard. If you are concerned about your child and these simple sensory solutions don’t help support your child’s needs, I strongly suggest seeing your pediatrician about getting your child evaluated further.